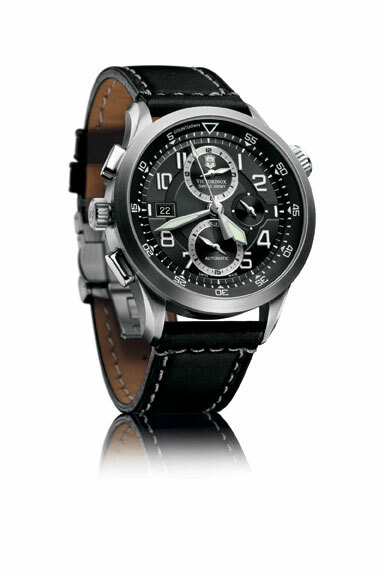 Livtek India recently launched a new and vibrant collection of Pierre Lannier fashion watches. 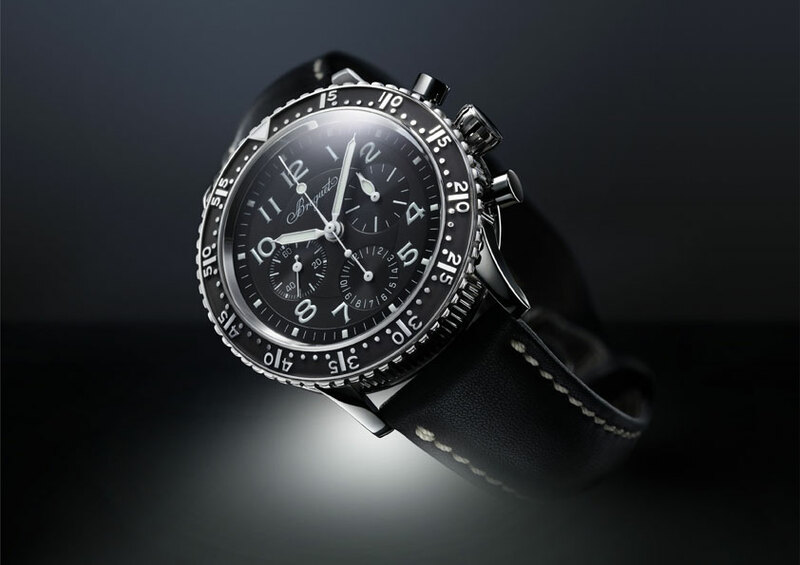 Pierre Lannier is the ‘most sold watches’ in France, the country with the largest share of watch sales in Europe. Pierre Lannier exquisite fashion creations have won numerous international awards. 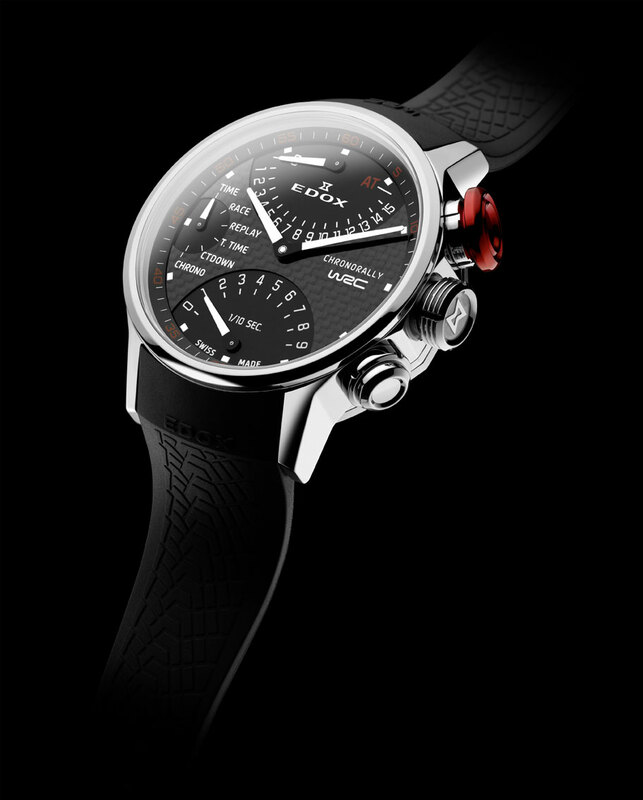 Each watch is manufactured by skilled craftsman, employing state–of–the-art robot assembly units and laser technology. 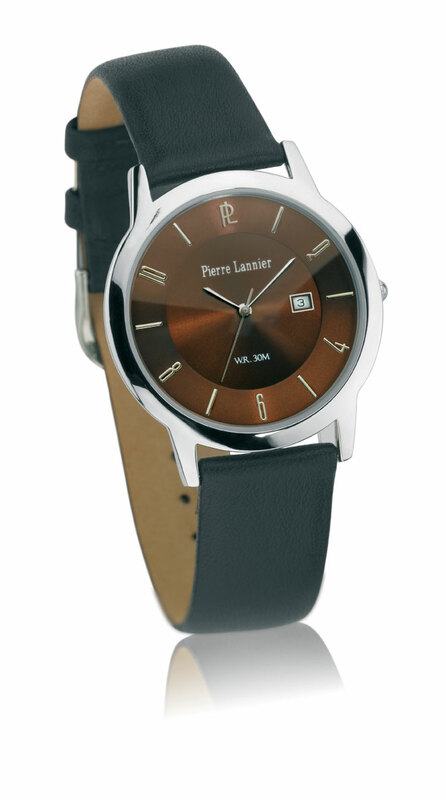 Pierre Lannier watches are all manufactured in-house. Each watch is aesthetically packed in an attractive case and comes with a 2 years international warranty. Glam and The City: Ideal for the busy working women with a choice of metal, mother-of –pearl, white and black straps this watch suits the jet-setting lifestyle of busy executives, matching with charging fashion styles. Price Rs. 18k to Rs. 20k. Flowers Collection: Designed like pieces of jewellery with intricate flowers engraved on the strap, it is available in a stainless steel strap. 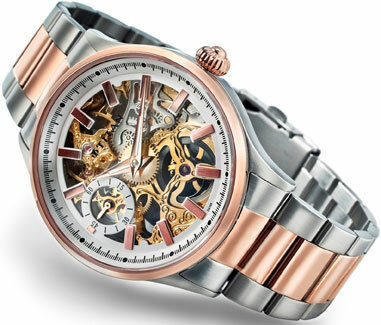 A perfect watch for a formal meeting as well as a cocktail party. Price Rs. 21k to Rs. 23k. Ligne Pure: Return to the classics with this collection. With extra flat cases, refined designs, these watches are the epitome of elegance. Bound by Milanese or leather straps, these watches come in silver, gold or chocolate finishes. Price Rs. 13k to Rs. 15k. The Adventurer’s Spirit: This stainless steel chronograph watch is ideal for every occasion, whether it is for urban hikes, safaris in the country or just to get the relaxed adventurer look. : Price Rs. 21k to 25k. Available at select stores across India namely Kenya Watch Co, Jasubhai Jewellers, Eleganza Gift Shop, Bhagwati Enterprises, Sa’aa, Ankeys Watch Boutique, Hero Watch Co., M Yusuf Jewellers, Watch World, Time Square, S.H. Mumbtazuddin, Murli’s, P.K. 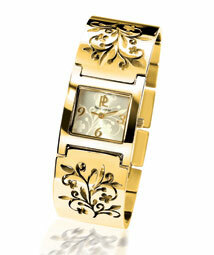 Watch Co., Eastern Watch Co., Pallazio, Big Shop, Sheetal Watch co. and amongst others. The Marine 5829 Haute Joaillerie Chronograph is sure to delight anyone wanting to time sports performances with exceptional brilliance. Adopting the main features of Breguet model 5827, its self-winding mechanical movement is housed in a case entirely set with baguette-cut diamonds. Exactly 186 precious stones enhance the case bezel, lugs, frame, pushpieces and crown. The dial’s silvered gold and delicately engine-turned mother-of-pearl form a dazzling composition. 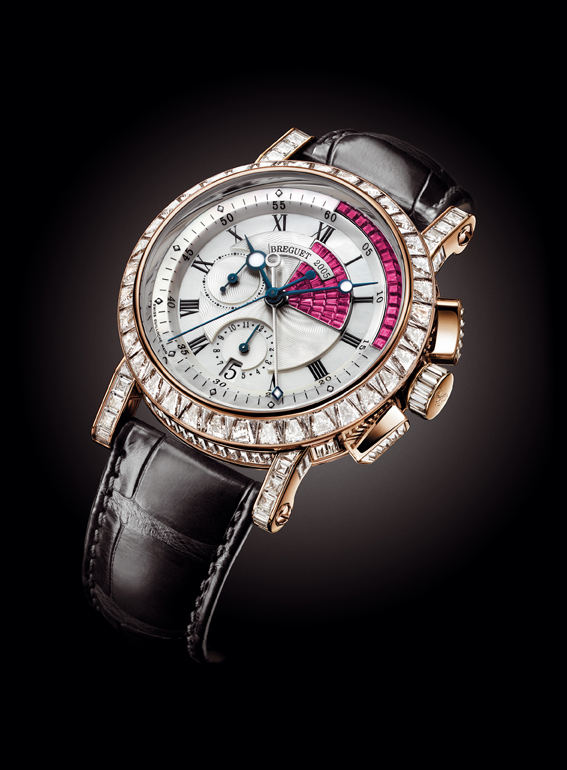 The date is shown in a dial aperture at 6 o’clock while baguette-cut sapphires or diamonds enhance the white gold version’s 15-minute sectoral readout and baguette-cut rubies or diamonds on the rose gold one. 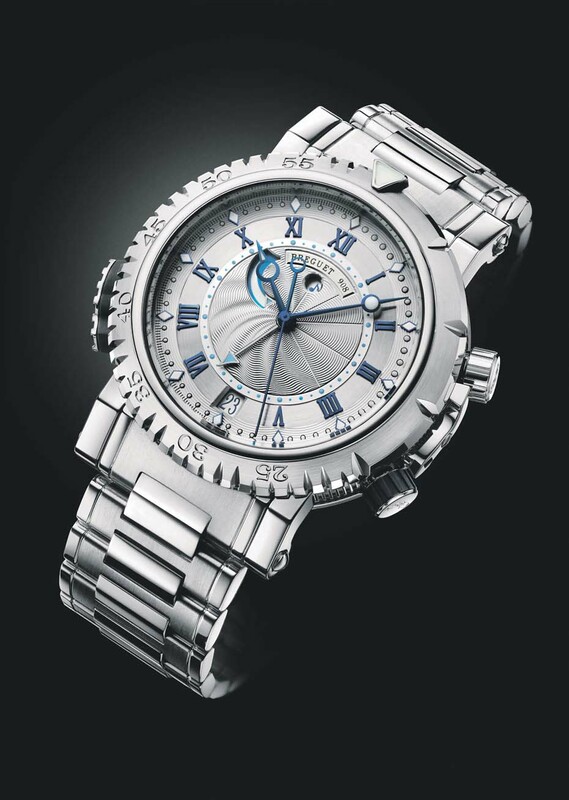 Wave-patterned engine-turning and blued, facetted Breguet hands complete the dial’s rich visual effects.